We had two beautiful sunny days in Ireland this week. One spent touring the country side and the coast with our kind hosts Gabriela and Ray, and Adrian McEwan (one of the other speakers, active in IoT and running a makerspace in Liverpool). And one spent at the event we were here for: 3D Camp. 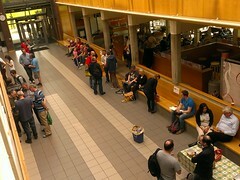 It was the 7th edition, and it’s not a full barcamp, in the sense that the program is set beforehand, although all sessions are still volunteered by participants. A great concept where children get to play by coding up stuff is CoderDojo. 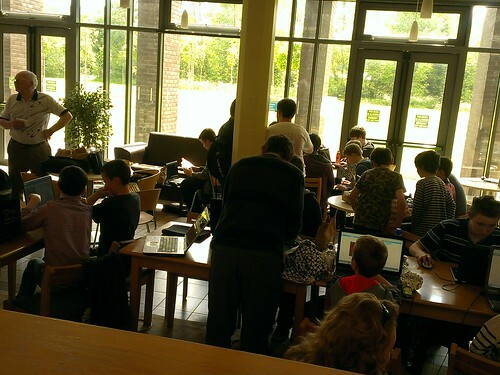 A room full of kids with one or both parents working together: the CoderDojo Limerick was in session. Groups are active in over 20 countries. These types of things can be life changing. I still remember getting my hands on my first computer when I was 12, and learning to code BASIC on it. I was immediately fascinated by the technology. Still am. What if my teacher hadn’t gone through the trouble of arranging a few machines for us to experiment with? I would probably have encountered my first computer only upon entering university. A very different stage in life to have your eyes opened to a range of new possibilities. Aine Behan of Cortechs shared with us some of the current things going on in measuring brainwaves and using it to control things, like games. Very interesting to hear about games that reward and give feedback on the amount of focus and calmness your brainwaves convey. It is being used to e.g. condition ADHD children towards better focus skills. Reminded me of the brain wave controlled helicopter I encountered at TEDxTallinn last year. Definitely the most funky stuff present at the event. Build upon Arduino you use Makey Makey to turn everything into a key. Like bananas to play music on. Intended for kids, but fun for anyone really. Heaps of Rapsberry Pi goodness was the demo of the PiPhone by David Hunt. A phone built from Raspberry Pi and other components. A bit clunky, but it works. And while the question whether this is something that will take on the major mobile phone companies isn’t of much relevance, it does mean you can build your own without them, without needing an engineering degree. Another case in point of disruptive tech creating new affordances for individuals. James Corbett, with Gabriela the organizer of 3D Camp, demoed the Oculus Rift. It’s a somewhat disorienting experience to wear it. As what your eyes perceive is different from what all other senses, including your entire body, are telling you. Although the visual quality isn’t all that good (pixelated), the sense of being in a 3d environment is complete and convincing. When I was standing on a balcony, I automatically tried to grab the railing to better look over the edge. My hands were surprised to not find anything where my eyes were telling me the railing was. Luckily there was a table edge I could grab, which then reinforced the reality of being in an experience with just one of my senses, but otherwise still in the event venue, as it was thinner than the railing. Looking down you are surprised to not see your feet (I didn’t have an avatar in the demo). 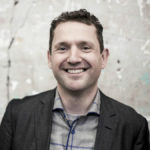 Because of that disconnect between your various senses, it is a very different experience from e.g. being in a VR cave. In a cave you are more fully immersed, with both sound and sight, and you have your body with you. On the other hand, in a VR cave I never forgot that I was in a room with projections around me. With a VR headset like Oculus Rift I was more convinced to be someplace else, as my eyes were telling me only that, but you’re not completely there at the same time. Adding a ‚cochlear rift’ with surround sound will likely make the experience even stronger/stranger. 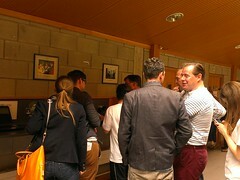 talking to the Coder Dojo dads, etc. 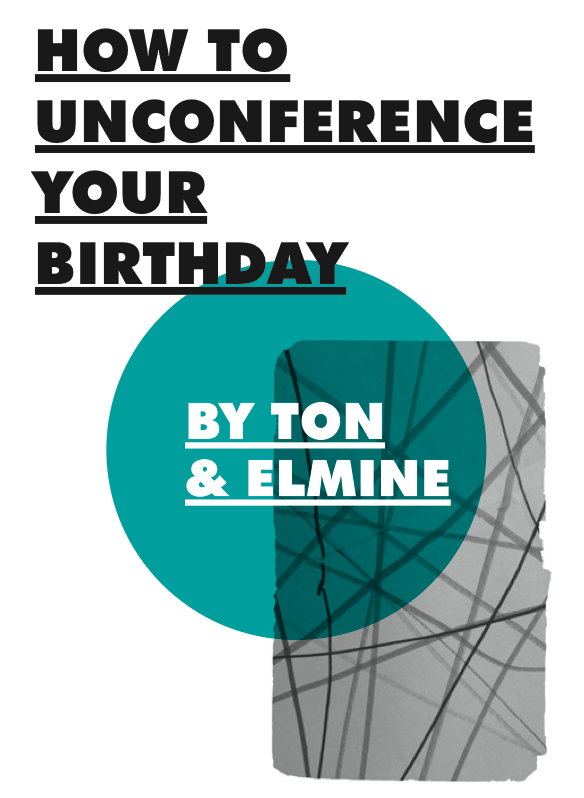 Elmine rounded off the day with sharing the ‘How to Unconference Your Birthday’ story, and the upcoming ‘Make Stuff that Matters‘ event (Facebook group). She called upon all to actively spread making literacy, and that an event like ours may help. At least two people seemed to have caught the bug. Thanks to Gabriela for inviting us over, and to her and Ray for being such great hosts to us. We’ve seen quite a lot in just two days in Limerick!